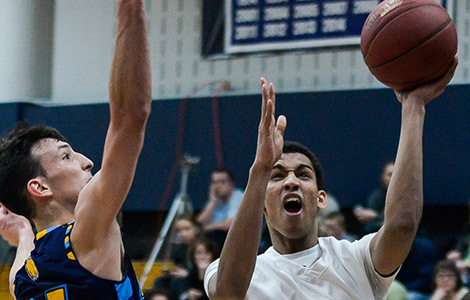 Madison College’s Jarrod Walton (21) drives to the basket against Rock County on Jan. 14. The Madison College men’s basketball team has had a strong first half of the season. In winning 11 games, the team has already won more games than any of the past three seasons. 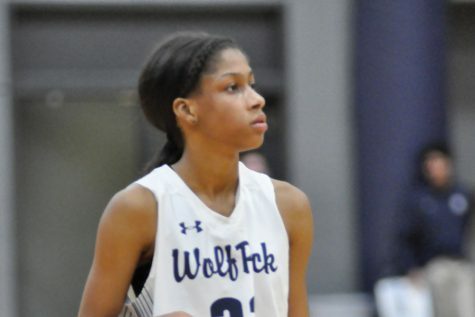 So when top-ranked Rock Valley came to town on Jan. 14, the WolfPack got to see how it stacked up against one of the elite NJCAA Division III teams. Madison College stayed within striking distance in the first half, but saw Rock Valley pull away for an 82-65 win in the second half. 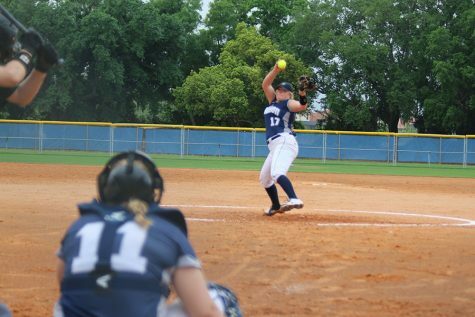 “I was impressed with Rock Valley, the defending national champions,” Madison College coach Scot Vesterdahl said. “They have talent, size, shooters. They work hard, and are well coached. This game helps us to see where we are at compared to the No. 1 team in the nation. Madison College didn’t shoot as well as it normally does, especially from outside, which made it difficult to overcome a zone defense. The WolfPack shot 36 percent from the field compared to 50 percent for Rock Valley. Madison College was even worse from behind the three-point line. The team hit just 17 percent of its three-point shots, connecting on 4 of 23 attempts. Jerrod Walton led the WolfPack with 19 points and eight rebounds. Shane Kanaman added 11 points and Brian Bearden and Clayton Alexander each scored nine points. The two teams will meet again this season, on Feb. 7 in Rockford, Ill., and Vesterdahl knows what his team needs to do to challenge for a victory. 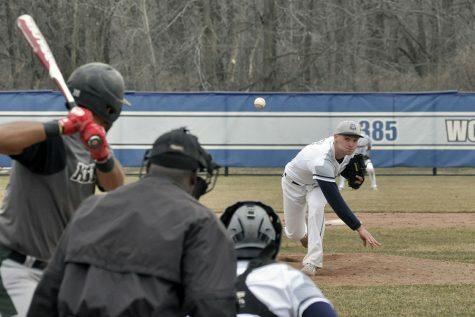 Madison College now stands at 11-4 overall and 2-1 in conference play. Madison College dominated UW-Marathon County from the start, taking a 23-0 lead en route to a 80-58 victory on Jan. 12. Jack Jelacic scored 16 points for the WolfPack in just his third game back from injury. Brian Bearden added 12 points, while Jake Andrews scored 10. A key pair of free throws by Brian Bearden gave Madison College the lead with 1:30 left and the WolfPack was able to hold off the College of DuPage for a 75-73 win on Jan. 10. Bearden led the team with 16 points. Jerrod Walton added 14 and Antowan Epps scored 11 for the WolfPack. Five players scored in double figures as Madison College posted a 79-60 victory over Wilbur Wright College on Jan. 7. Antowan Epps scored 16 points to led the WolfPack. Others in double figures were Kendale Nation (15), Brian Bearden (13), Shane Kanaman (11) and Clayton Alexander (11).